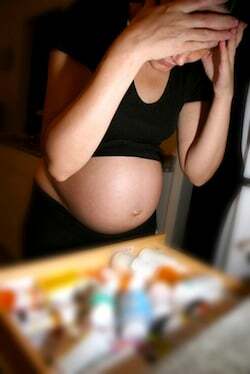 Selective serotonin reuptake inhibitors (SSRI) are prescribed to up to 6% of pregnant women. The medications are prescribed to treat various forms of depression, including postpartum depression. Researchers have investigated the infant-mother attachment characteristics of mothers with postpartum depression, but research had not been completed on the impact of SSRIs on the bond. In this small study, five mothers who’d taken SSRIs in pregnancy were asked to partake in up to six follow-ups between the first month after birth and the infant’s first birth. Participants were also rated for depression symptoms based on the Beck Depression Inventory. Conclusion: Four out of 5 mothers showed signs of disorganization in their relationship with their infant by age one. That 80% is higher than the disorganization result associated with postpartum depression. The research study pool was extremely small. Additional research is needed to verify and validate the results. Source: Troutman BR, Momany AM. Use of selective serotonin reuptake inhibitors (SSRIs) during pregnancy and disorganized infant-mother attachment. J Reprod Infant Psychol. 2012 Jul 1;30(3):261-277.